Look around your house, do you see hair mousse/spray, nail polish, paint thinner or hand sanitizer? Chances are you have a wide variety of flammable liquids and supplies under your roof and don’t even realize it. 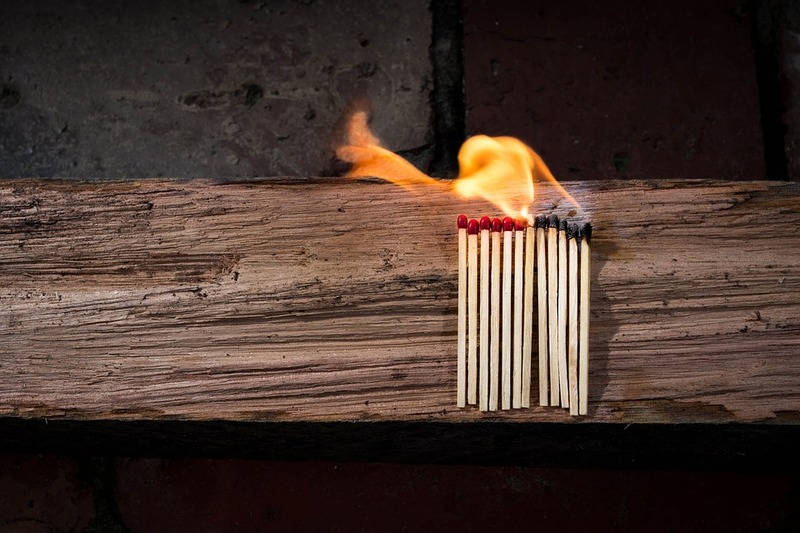 Flammable liquids and common household items cause more than 43,000 home fires each year, according to the National Fire Protection Association. The chances that they’ll set your house on fire are slim if the right precautions are made. As a homeowner, it’s your responsibility to make sure that the cap is on securely and, if it spills, clean it up properly. Flammable liquids don’t catch fire themselves. It’s the vapors they give off the burn. If you spill a flammable liquid, open windows immediately. Don’t use fans or other electrical devices. After cleaning up a spill, take the towel out of the home and dispose of it. If it is saturated with the liquid, use a zip-lock bag. If you get liquids on your hands, don’t wipe them on your clothes or your pants or shirt may become flammable. If your clothing does become contaminated, spot-wash it by hand, then dry it on a line. Avoid using a washer or dryer, which can sometimes ignite the clothing. Many homeowners are already aware of the safety risks within their home, including mold, burning candles, leaking pipes, and more. However, there are others that pose a fire a severe risk of fire damage when encountering a flame. While they do not pose a direct threat, it is extremely important to keep them away from candles, stovetops, and other open flames. Increasing the awareness of these safety risks decreases the chances of a property fire from occurring. However, they cannot always be avoided; flames can ignite when coming into contact with these flammable products. If damage does occur, call a professional fire damage restoration company right away. Our experienced team at Restoration Experts can help to prevent the smoke and soot damage from spreading. When choosing a fire restoration professional, contact us. We will arrive right away, prevent the damage from spreading, and restore your property to its original condition.